Take a fresh egg and break it into a bowl. It’s understandable that the moisture content of a raw egg is over 75 percent. Now hard boil another egg, crack the shell and peel it. It’s essentially the same egg. It‘s the same composition. It, too, is over 75-percent moisture. Yet it appears and acts like it is solid. Ion exchange resins that you find in a water softener also appear solid but range from 50- to 60-percent moisture. Where is all this water? Ion exchange resins (IEx) are produced primarily from cross-linked styrene, a plastic. Styrene monomer (also known as vinyl-benzene) is a water-insoluble liquid. When it is suspended in water and agitated, it forms small droplets or spheres of liquid suspended in liquid much as does the familiar salad dressing of oil in a vinegar solution. Monomeric styrene can be polymerized, that is, turned into a hardened plastic solid by heating it in the presence of a catalyst. The solid is water-clear and totally insoluble and takes the form of tiny spheres measuring about 0.25 to 0.8 mm in diameter. In Figure 1, styrene monomer is shown on the left. In chemical nomenclature, styrene is made up of a benzene ring (circled in blue) and a vinyl group (circled in red). In chemical shorthand, this is represented as styrene in the middle figure. On the right in Figure 1, is the structure of the cross-linker used most commonly in IEx. This compound has a reactive vinyl group on both sides and is called di-vinyl benzene (DVB). This structure, when reacted as shown in Figure 2, gives a three-dimensional cross-link to polystyrene. The level of the DVB reacted in the backbone of the polymer determines the tightness or strength of the bead. The higher the DVB content, the lower the moisture will be when the bead is functionalized into an IEx resin. When functional groups are added to the styrene backbone of the polymer (as represented in Figure 3), the resins become reactive and the polymer units function as if they were individual ions suspended in a water matrix. The individual units are bound together by the DVB, which renders the bead insoluble but highly swollen with water (refer back to the boiled egg example). The exchangeable portion of the IEx resin is shown as a colored element with a + or – charge. In the case of the strong acid cation (SAC), they are manufactured in the H+ form but can be converted to the Na+ softener form (or K+ potassium) by regenerating the resin with sodium in the form of soda ash (Na2CO3), caustic (NaOH) or rock salt (NaCl) and used for softening processes. 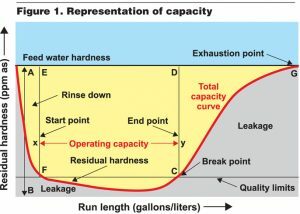 The hardness ions, Ca and Mg, along with iron (Fe) and manganese (Mn), and certain heavy metals such as copper (Cu) and zinc (Zn), are converted to sodium (Na), producing a stream that does not form scale. Reaction 1(1): Ca(HCO3)2 + O-Na ↔ O-Ca + NaHCO3. The softening reaction; ↔ indicates the reaction is reversible. O-Na represents the ion exchanger shown in Na+ form. Reaction 2(1): O-Ca + NaCl ↔ O-Na + CaCl2 + NaCl. The regeneration reaction showing excess salt (NaCl or KCl) used. In the H+ form, SAC resin is used in the deionization process where all of the cations are exchanged for hydrogen ion thus converting all of the salts to their respective acids as shown in Reactions 3 and 4. Reaction 3: Ca(HCO3)2 + NaCl + O-H ↔ O-Ca + O-Na + H2CO3 + HCl. The DI reaction; ↔ indicates the reaction is reversible. Reaction 4: O-Ca + O-Na + HCl ↔ O-H + CaCl2 + NaCl + HCl. The regeneration reaction showing excess acid (HCl) used. The first stage of deionization is sometimes called de-cationization and is typically followed by a strong base anion (SBA) to remove the acid and complete the DI process. The SBA can be either Type I or Type II or weak base (WBA) depending on the functionalization chemistry. The DI process is competed in Reactions 5 and 6. Reaction 5: (effluent of Reaction 3) H2CO3 + HCl + O-OH ↔ O-CO3 + O-Cl + H2O. The DI reaction; ↔ indicates the reaction is reversible. Note that when H+ and OH- react, they form H2O (DI Water). SBA resins can also be operated in the Cl form and regenerated with salt. As such, they can be utilized for the removal of nitrates and nitrites, sulfates, hex-chrome, bicarbonate and carbonate alkalinity, arsenic and fluoride and even gold recovery. This is shown in Reactions 7 and 8. Reaction 7: NaHCO3 + NaNO3 + Na2SO4 + O-Cl ↔ O-HCO3 + O-NO3 + O-SO4 + NaCl. Commonly known as a de-alkalization reaction, SBA resins have great utility in well water remediation and can be readily regenerated with NaCl. 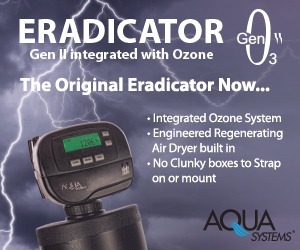 For certain DI applications it may not be critical to reduce the silica or the bicarbonate (which will be in the form of CO2 gas in the low pH de-cationized water). For this need (such as car washes and glass rinsing), if the silica content is <20 ppm, a WBA resin can be used. WBA resins have high capacities for acid reduction and are very economical to regenerate. Warning: If the silica is >20 ppm, use SBA mixed bed (MB) shown in Reaction 15. The WBA DI reaction is shown in Reactions 9 and 10. WBA are in the free base (FB) form and do not actually have an exchangeable OH group. They adsorb the entire acid molecule and do not produce water as a byproduct. This adsorption function also makes them ideal for de-acidifying fruit juices and wine without splitting the neutral fruit salts into a high pH component as would a SBA resin. Reaction 9: (effluent of Reaction 3) H2CO3 + HCl + O-FB ↔ O-HCl + H2CO3 (H2O + CO2). The DI reaction; ↔ indicates the reaction is reversible. WBA do not remove bicarbonate or silica. Upon drying, however, the CO2 will evaporate. Reaction 10: O-HCl + NaOH ↔ O-FB + NaCl + H2O + <<NaOH. WBA resins can be regenerated with very little excess caustic and can even be regenerated with spent caustic from a previous SBA regeneration waste stream. 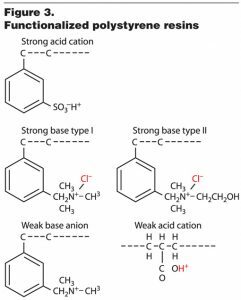 Weak acid cations (WAC) are generally not made from cross-linked styrene but from acrylic backbone using DVB cross-linker. As you may note from Figure 3, the WAC group size is considerably less bulky than is the SAC. This allows far more reactive sites on the resin bead and thus, a much higher capacity. Operated in the H+ form, a WAC might exhibit twice the operating capacity as does a SAC. 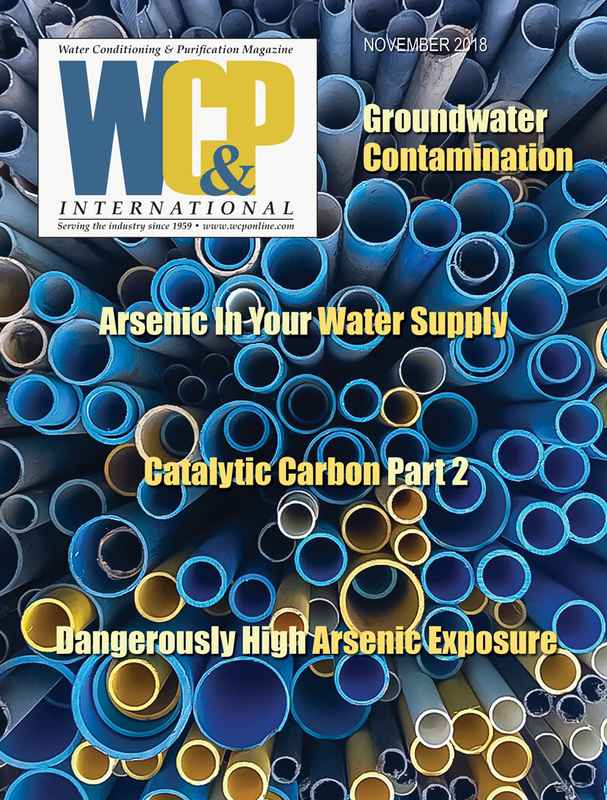 The WAC, however, does not split a neutral salt in H+ form, but can be converted to the Na+ form with caustic and used for high-efficiency softening in moderately high TDS waters. WAC do not regenerate with salt (NaCl). To utilize them in Na+ form, they must first be regenerated with acid and then converted with caustic. One cannot take advantage of their inherent high capacity in household uses because of the dangers of using acid and caustic. WAC resins can be used in partial de-ionization applications, whereby they will remove hardness selectively up to the limits of the alkalinity (bi-carbonate) present. In other words, you can soften and de-alkalize certain feed streams at the same time using only one resin bed. Reaction 11: Ca(HCO3)2 + NaCl + W-H+ ↔ W-Ca + H2CO3 (H2O + CO2↑) + NaCl. WAC in H+ form only react with alkaline salts. If the alkalinity is > hardness, some Na is removed. If alkalinity is = hardness, all hardness is removed. If alkalinity < hardness, some hardness will remain. Operating in the H+ form, WAC will convert the bicarbonate to CO2 gas, which can be bubbled off, thus reducing TDS, alkalinity and hardness with a single column. The regeneration reaction uses a very slight excess of acid (HCl) and can even be done with spent waste acid from a SAC regeneration (Reaction 12). Reaction 12: W-Ca + HCl ↔ W-H + CaCl2 = <<HCl. Regeneration is very efficient to the H+ form. To convert to the Na+ form requires an additional step, shown in Reaction 13. Reaction 13: W-H + NaOH ↔ W-Na + H2O + NaOH. There will be a slight excess of caustic. The resin can now be used for very effective, higher TDS softening, as shown in Reaction 14. Reaction 14: Ca(HCO3)2 + W-Na → W-Ca + NaHCO3. Softening in water up to 5,000 TDS; → indicates this reaction is not reversible. You must use a two-step conversion with acid/caustic. 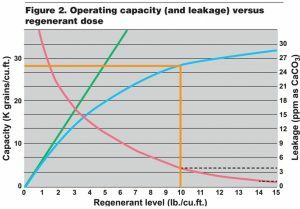 For complete demineralization for high-purity needs, such as semi-conductor manufacture, autoclaves, pharmaceuticals, high-pressure boilers, spot-free rinses etc., use a mixed bed (Reaction 15). A mixed bed (MB) resin is an intimate mix of SAC and SBA in a 2:3 ratio. Mixed-bed water is so low in dissolved mineral that the only way to measure it is to measure its electrical conductivity (EC) or resistivity (Ω). High-purity, mixed-bed effluent can reach 18.3-megohm resistivity or 0.055 micro-Siemens (µS), which corresponds to <0.03 ppm TDS. What makes a mixed bed so efficient at removing ions is that it always works toward a neutral pH. With two-bed (SAC/SBA) systems, the pH of the SAC effluent drops towards a value of 2 or less, creating a mild regenerating environment. Sodium ions cannot compete with the mass of hydrogen ions present toward the bottom of the bed and sodium leakage is produced as a salt (see Reaction 3). The SBA bed converts all of the acids (see Reaction 5) to water plus the residual sodium ions to NaOH, which gives a two-bed effluent pH of around 10 and induces higher silica leakage. The mixed bed represents thousands of two-bed cycles and works towards an effluent of pH 7. 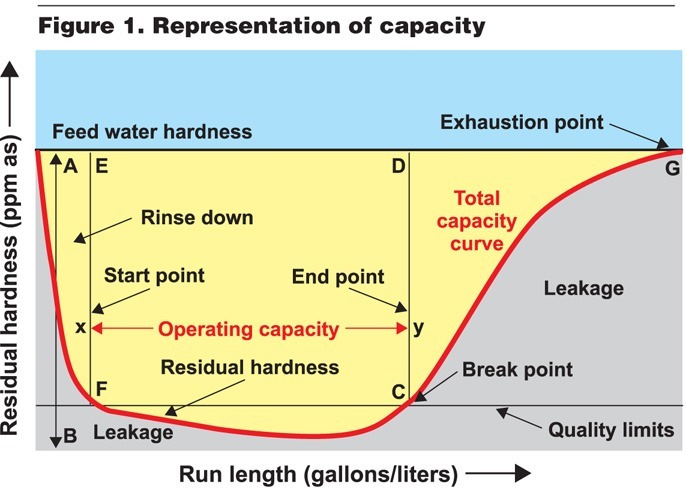 A given quantity of mixed-bed resin will deliver a higher capacity of higher quality water than will the equal equivalent of two beds. The only downside to mixed bed is that the regeneration technique is more complicated and it requires more equipment. To regenerate a PEDI (portable exchange de-ionization) mixed bed, the exhausted beds are typically transferred to a separation vessel where the resins are separated (by backwashing) into its SAC and SBA components. There is a density difference of about 20 percent between SBA and the heavier SAC resins, which puts the lighter SBA on top of the bed during backwashing. The separation is also enhanced by having the two resins of different colors with the SAC usually darker. They are then transferred to separate regeneration vessels for cleaning and regeneration. After rinsing in high-purity water, the separate beds are transferred to a remix vessel and reblended and given a final rinse before refilling the exchange vessels for the next run cycle. A fixed-bed, mixed-bed system (in house) can be regenerated in place. The exhausted mixed bed is backwashed to separate into components. 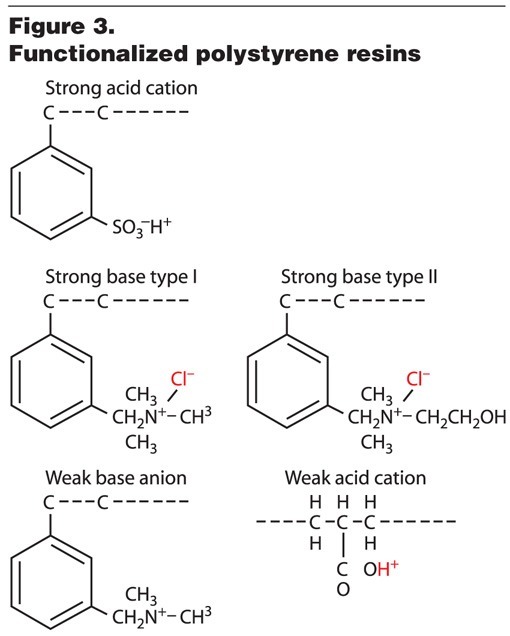 The cation component is regenerated by introducing acid from the bottom and the anion component is regenerated by introducing caustic from the top. The regenerant waste is taken off from a mid-lateral located at the point of separation of the two resins. These systems are highly engineered for balance and flow dynamics and are very common. Ion exchangers are generally produced as either a gel structure or macroporous structure. Gels are typically less expensive to produce and are far more common. Gel resins are usually transparent and do not have distinct pores. The transport mechanism for gel type ion exchangers is by diffusion. Ions must diffuse into the bead structure and the exchange ions must diffuse out. Larger molecules, such as sulfates and organics, are slower to diffuse in and out, especially in cold water, than are chlorides and nitrates. Extra time should be given for both service and regeneration when dealing with larger molecules. Macroporous (macro) resins are usually opaque even though they are made of transparent material. Think of them as you would a snowball: the individual snowflakes are transparent but the snowball is opaque. Macros have distinct, continuous pores or channels through which water can flow, giving access to the interior of the beads. There is still the diffusion through the solid matrix for the exchange to take place but the distances are small compared to gel resins. Macro resins have a tremendous surface area similar to activated carbon. 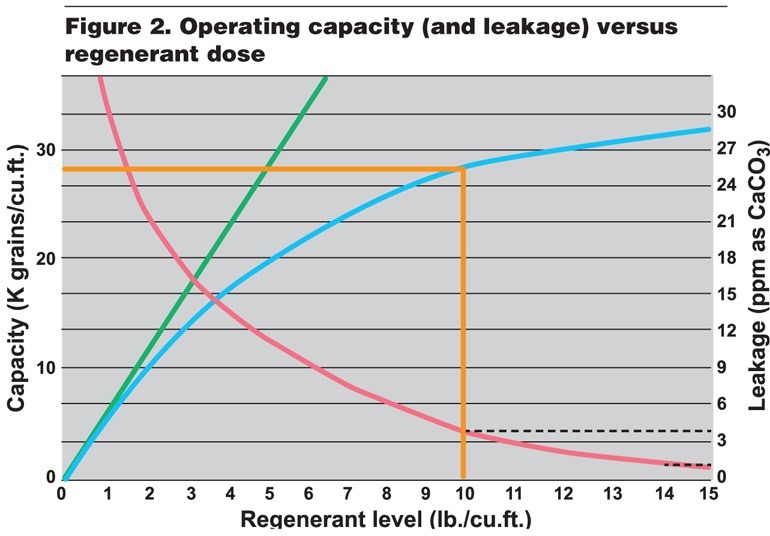 Gel resins have a total surface area of only about 0.004 m2/wet gram while that of a macro resin can approach 1,000 m2/gram (see Figure 4). Also due to increased surface area, macro resins can function with good kinetics at higher levels of cross-linking, making them far superior in extreme oxidative conditions. Ion exchange resins are made of plastic consisting of styrene cross-linked with di-vinyl benzene and having water channels for the diffusion of ions. Macro resins have distinct water channels and a surface area similar in numbers to that of activated carbon and more than 250,000 times that of gel resins. This allows higher x-l levels and superior oxidation resistance. Macros have better resistance to organic fouling due to large surface area and ability to withstand harsh chemical cleaning. (1) Michaud, C.F., Ion Exchange Resin Synthesis and Reactions: a training program for Purolite Company (unpublished), 2004. C.F. 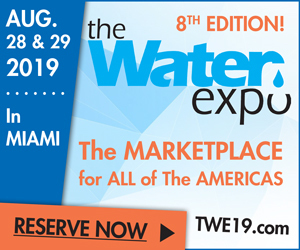 ‘Chubb’ Michaud, Master Water Specialist is the Technical Director and CEO of Systematix Company of Buena Park, CA, which he founded in 1982. He has served as chair of several sections, committees and task forces within WQA, is a Past Director and Governor of WQA and currently serves on the PWQA Board, chairing the Technical and Education Committees. 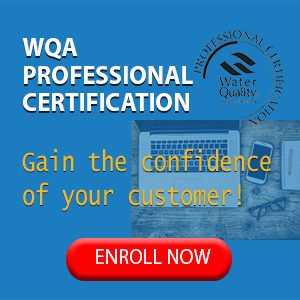 Michaud is a proud member of both the WQA and PWQA Halls of Fame, has been honored with the WQA Award of Merit and is a two-time past recipient of the PWQA Robert Gans Award. He can be reached at (714) 522-5453 or via email at AskChubb@aol.com.